This new video is the first in a short series to cover many of the features available on the moving map and VFR GPS navigator. 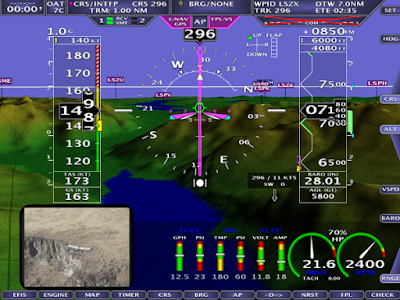 The LAYERS feature allows the computer-generated moving map to be overlaid with several additional types of information: Weather (requires the SV-ADSB-470 receiver) and Sectional, High- and Low-Altitude Enroute charts (require Chart Data subscription). Many SkyView owners and installers have had questions about the process of replacing an autopilot servo shear screw. In this first video in a new series titled “Tech Tips”, we are covering that topic in detail. Presenting the “Tech Tips” video series is David Weber, Product Engineer with Dynon Avionics for the past six years. David is a long-time private pilot, 3-year President of EAA Chapter 84 at Harvey Field in Snohomish, Washington, and builder and owner of an award-winning plans-built Sonex. In this series David combines his grass-roots expertise in Experimental/Amateur-Built aviation with his insider knowledge of Dynon products to help make your build project as trouble-free and enjoyable as possible. 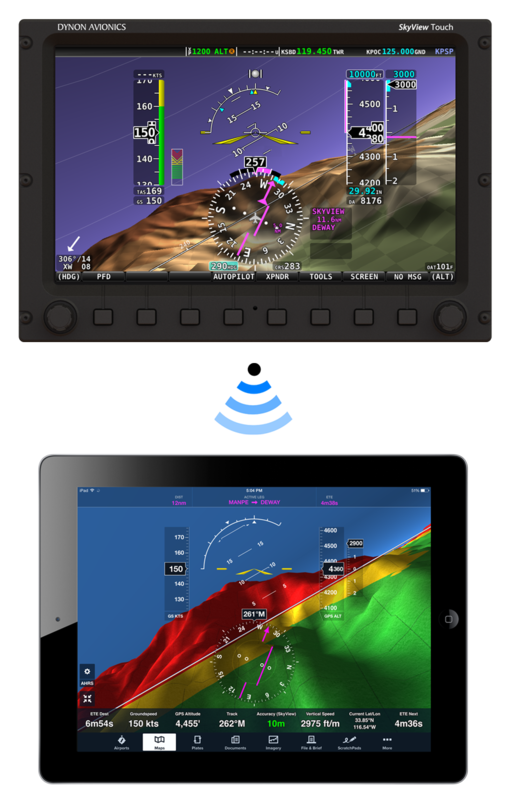 Dynon Avionics and the SkyDemon are excited to extend SkyView’s Wi-Fi capabilities to the SkyDemon iOS and Android apps. Wi-Fi connectivity enables pilots to integrate their mobile flight planning via tablets with their cockpit avionics and autopilots. These features make flight planning and preparation much easier and more efficient for those who fly with SkyDemon and SkyView. 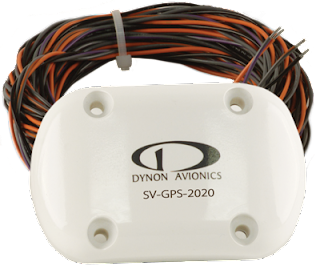 Dynon announces the most affordable, 2020-compliant ADS-B solution for E-AB and LSA aircraft, featuring a 2020-compliant GPS for only $590. Expanded AirVenture Oshkosh presence: Builder Central tent and outdoor aircraft exhibit space at AirVenture features on-site avionics transition training, technical support, and builder assistance. 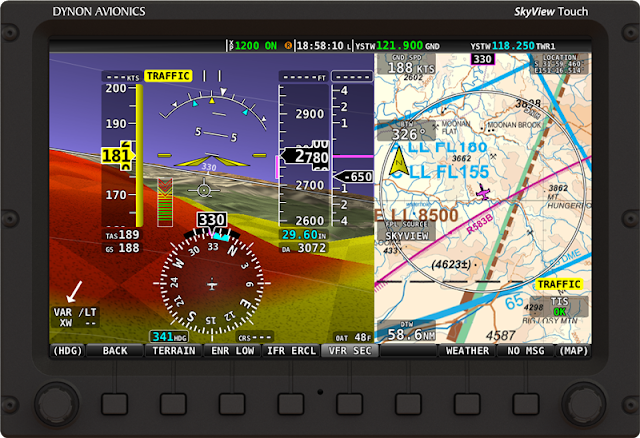 Software updates for both SkyView and the AF-5000 bring new capabilities to both platforms. The Dynon Builder Support Team guides homebuilders from “first dream to first flight” through increased education and training opportunities and new accessory parts to solve common builder challenges. Advanced Quick Panels let builders “leave the panel to us”, providing turnkey instrument panels that are professionally wired, configured, tested and ready to install. 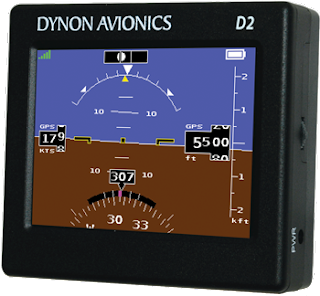 Dynon D2 Pocket Panel available at a new list of $1095, with even lower sale pricing from dealers at AirVenture. When combined with Dynon’s SV-XPNDR-261 Mode-S transponder, SkyView and Advanced Flight Systems customers meet all the transponder and ADS-B Out requirements for $2790. Pilots can also add the SV-ADSB-470 Traffic and Weather Receiver for the best-possible situational awareness in their aircraft. For more information, including a full set of frequently asked questions, visit the SV-GPS-2020 page. You can find a downloadable PDF brochure for the SV-GPS-2020 here. Dynon Avionics features an expanded exhibit at AirVenture Oshkosh 2015. The new space at Hangar D features the outdoor Dynon Builder Central tent, where pilots can visit with Dynon’s Builder Central Team for in person flight training, technical support, and builder advice. The outdoor exhibit also features aircraft built by Dynon Avionics and Advanced Flight Systems employees. Dynon is the only company that boasts two fully featured avionics platforms for sport pilots. Both receive significant free software updates this summer. 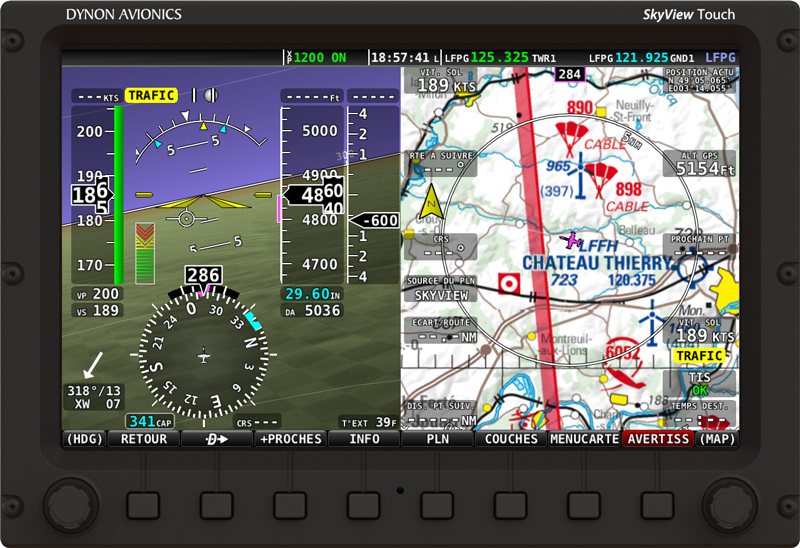 SkyView 13.0 System Software debuts support for additional languages in SkyView. German and French language packs that transform SkyView’s on-screen interface will be free downloads from the Dynon website. SkyView 13.0 also brings support for additional en-route charts for customers outside of the US. At release, partners offering charts include PocketFMS (Europe), OzRunways (Australia / New Zealand) and AvPlan EFB (Australia / New Zealand). SkyView’s synthetic vision adds predictive terrain alerts that dynamically shade terrain in yellow or red based on the aircraft’s projected flight path. And pilots who fly behind the Rotax 912 iS powerplant gain useful new information, including throttle position, cold start assistance, and Eco/Power mode indications. SkyView 13.0 will be available shortly after Oshkosh. Advanced Flight Systems’ new 12.0 system software for the AF-5000 series has Inset Windows that allow pilots to place small windows alongside their PFD displays. 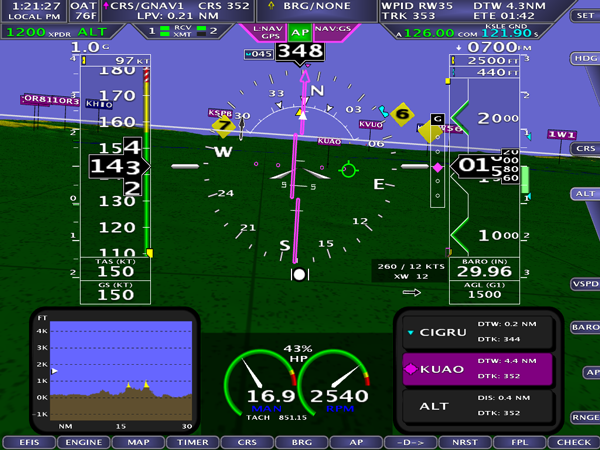 Available Inset Windows include Map, Traffic, Flight Plan, Profile View, G-Meter, and Video. Another feature enhancement is an improved flight planning interface that coordinates and integrates with the Avidyne IFD540 and IFD440 navigators. AF-5000 series products also gain support for Charts, Sectionals, Flight Guide Airport diagrams provided by Seattle Avionics for only $99/year. Finally, version 12.0 supports the Wi-Fi Adapter and flight plan transfer capability with ForeFlight Mobile. AF-5000 series 12.0 software is available now. 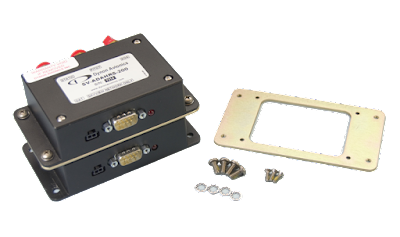 Two complementary programs from Dynon provide the most complete avionics solutions possible for experimental aircraft homebuilders. 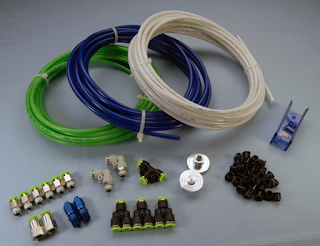 For those who would rather leave their whole panel to the experts, Dynon’s Advanced Flight Systems division offers the Quick Panel System. Each Quick Panel is a fully-engineered and integrated panel of avionics that is professionally wired, configured, tested and ready to install. Quick Panels include all switches and harnesses, which all connect through the exclusive Advanced Control Module. For more information visit http://dynon.aero/quickpanels/. 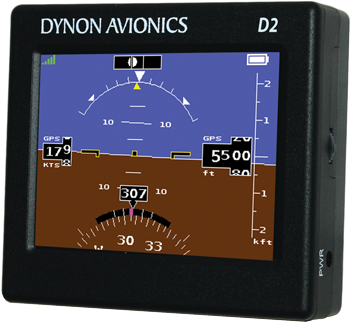 The Dynon Avionics D2 Pocket Panel is the only portable, self-contained EFIS designed for use in any aircraft. Built with the same solid state attitude technology as in other Dynon products, the D2 can be a life-saver for GA pilots faced with a vacuum pump or gyro failure that would normally result in a high workload “partial-panel” scenario. The D2 Pocket Panel Portable EFIS will be available at AirVenture Oshkosh at the lowest price ever. With a list price of $1095, pilots can expect even better pricing from dealers at the show. Stocking dealers at AirVenture include Aircraft Spruce, Pacific Coast Avionics, and Gulf Coast Avionics. For more information about the D2 can be found at http://dynon.aero/d2. As you may have heard, the experimental airplane community lost two people yesterday from the Sonex Aircraft Company. I have worked closely with Jeremy Monnett through the Aircraft Kit Industry Association. He was a leader in the industry and a true gentleman. The thoughts and prayers from all of us in the Dynon family are with the Monnett and Clark families this morning. Recently, mobile flight planning and in-cockpit tablet connectivity have been two of the most-requested SkyView features. Today, we’re excited to announce that SkyView can now connect to ForeFlight Mobile via Wi-Fi. This connectivity makes flight planning and preparation easier and more efficient for those of you who fly with ForeFlight, and also allows your ForeFlight device to benefit from SkyView’s GPS position and attitude indication. Plan your flights at home using ForeFlight Mobile’s comprehensive flight planning features. Once at the airplane, save time by sending the planned route to your SkyView system via Wi-Fi. Flight plans sent from ForeFlight can be edited on SkyView and flown by the SkyView Autopilot. You can transfer updated flight plans between the devices at any time. SkyView to ForeFlight connectivity is enabled by a new Wi-Fi Adapter for SkyView that is installed in any of SkyView’s USB ports. The Wi-Fi Adapter costs $35 and can be purchased from Dynon Avionics dealers or Dynon directly. One is required for each SkyView display installed in an aircraft, maintaining system redundancy. Once configured, ForeFlight connects to SkyView through a secure WPA2-protected Wi-Fi link. Support for the Wi-Fi Adapter is already built into the recently-released SkyView 12.0 Software. 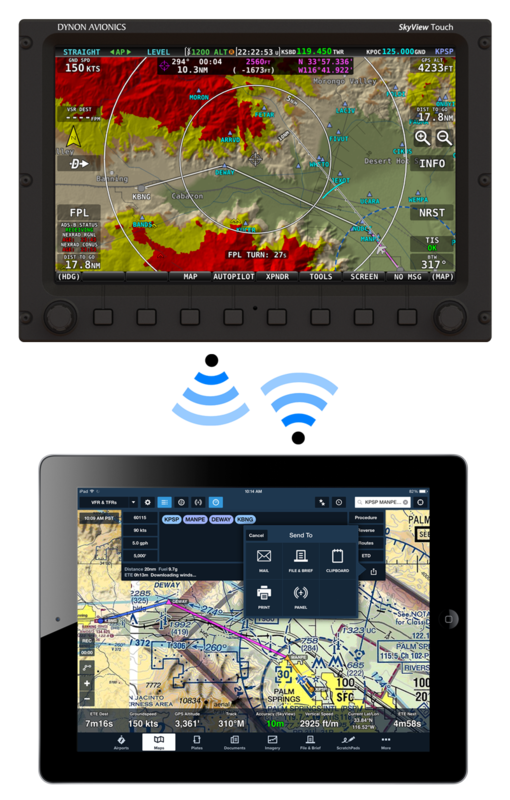 In addition to Wi-Fi and ForeFlight connectivity, SkyView 12.0 has over 40 new features and improvements, including Autopilot Auto-Trim, OBS Mode, customizable aircraft icons, and a new optional in-air magnetic heading calibration. Customers also benefit from SkyView’s built-in WAAS GPS, which can drive aircraft position in ForeFlight. This is great for those with Wi-Fi-only iPads, and provides an additional high-availability GPS source for GPS-equipped devices. When connected to SkyView, ForeFlight’s attitude indicator is driven by the same IFR-capable ADAHRS installed in every SkyView aircraft. This allows your ForeFlight attitude indication and Synthetic Vision display to show the same depiction for the best possible in-flight situational awareness. Wireless connectivity between Dynon SkyView and ForeFlight requires SkyView 12.0 Software, a Wi-Fi Adapter for each SkyView display, and a ForeFlight Mobile (basic and higher) subscription. Instructions for configuring and using these features are in the updated SkyView System Installation Guide and Pilot’s User Guide. How Secure is the connection between ForeFlight and SkyView? The link between SkyView and your iOS device is protected with secure, password-protected WPA2 encryption. This ensures that only iOS devices that you specifically authorize can communicate with your SkyView system. Besides flight plans, what SkyView information is sent to ForeFlight? As of ForeFlight 6.7, SkyView attitude and GPS information is used by ForeFlight Mobile. You will need a ForeFlight Mobile (basic and higher) subscription in order to access the Wi-Fi connectivity with Dynon SkyView. What do I need to connect SkyView to ForeFlight? At this time, SkyView’s Wi-Fi only works with ForeFlight Mobile on Apple iOS devices. Our dealer in South Africa, Robin Coss, has just delivered their first custom-built RV to Namibia, Africa. This beautiful new RV-8 features a complete Dynon SkyView suite with dual screens, COM Radio, Intercom, and Autopilot.